Attending a flea market is the ultimate treasure hunt. You never know what you'll find—and there's always a chance you'll find something fabulous. 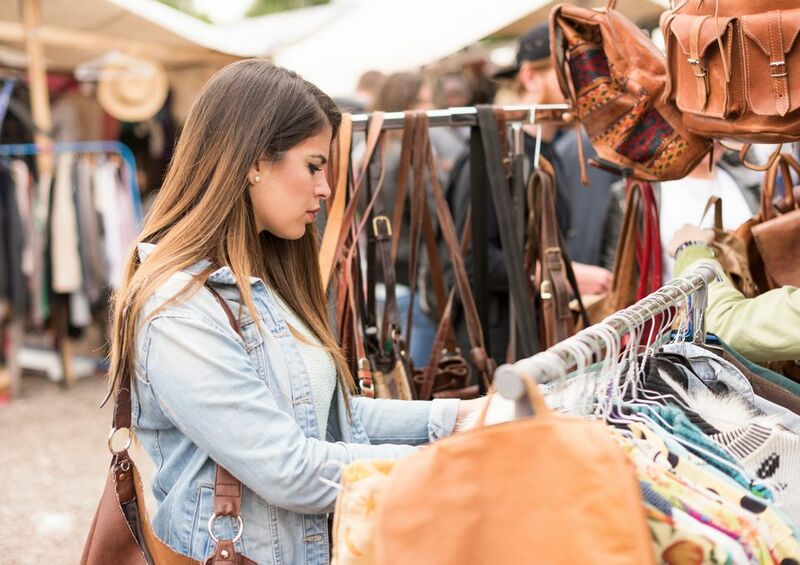 To get the best pieces at the lowest prices, read the 20 flea market shopping do's and don’ts before you go. Do go early on the first day of the flea market for the best selection. Stop back by at the end of the last day to get the biggest discounts. Do get a map of the flea market if there’s one available. As you shop, mark the booths where you left paid purchases for later pickup as well as those you’d like to visit again in the day. Do figure out the flea market's layout, assuming it's not random. At some fleas, the permanent indoor booths have the closeouts and cheap imports. At others, the sellers with the fine antiques are the ones sheltered inside. Some flea markets even place vendors according to their merchandise type. Find out, and then start with the good stuff. Do take cash, including plenty of small bills. Many sellers don’t take credit and debit cards, and not every flea market has an ATM. Do keep your cash in a front pocket, or in a cross-body bag positioned in front. Don’t carry a shoulder bag that swings behind you. Flea markets get crowded, and you'll get bumped from time to time. Pickpockets may use this to bump you as a cover for swiping your cash. Do wear comfortable walking shoes (some you've already broken in), or your feet will be aching by the end of the day. Do dress in lightweight layers you can add or remove as needed. The weather can change quickly at outdoor sales, and even many indoor flea markets aren’t temperature controlled. Do take coffee or water with you, if it's allowed. Even if the flea market has a concession stand, the lines are likely long and the prices high. Save your concession cash for the tasty food trucks. Do take a collapsible cart with wheels. You’ll have free hands for browsing as you buy things, and your arms won't ache from carrying stuff around. Take bubble wrap or newspaper for wrapping fragile items too. Do pack a flea market toolkit to take it with you. You’ll have your measurements and color swatches handy so you don't make mistakes. At most flea markets, once you buy something, it’s yours—even if it won’t fit through your front door. Don’t hand over the cash for large items without asking about pick-up policies. Most dealers don’t mind holding a sold item while you finish shopping, but they may not want to hold it until the next day. Do stop to chat briefly with the dealers in your favorite booths. Sellers remember their good customers, and good customers usually get the biggest discounts. Do make an offer if the price seems too high. Seasoned flea market sellers expect shoppers to haggle, and they build negotiating room into the prices on the tags. Don’t expect huge discounts on the morning of the flea market's first day. You may get some consideration, but dealers save the big deals for the end of the final day. That’s when they’re pooped and just want to get home. Don't haggle on item after item if you're not serious about buying anything. When you do find a piece you can't live without, the seller assumes you're not serious, and he's tired of wasting his time. Don’t walk away from an item you just have to have. If you love it, someone else will too, and it may be gone when you come back. Do check the condition of furniture, lighting, rugs, and other furnishings. Estimate how much time and money each piece will take to repair, and make sure repairs are even possible. Don’t pass on sturdy, low-cost pieces just because they need a little work. Cosmetic repairs (painting, refinishing, replacing hardware, and simple upholstering) are easy fixes. Don’t take your dog unless you know the flea market allows it. Some only permit service animals. If pets are allowed, be responsible for picking up poop. Your dog is adorable. His droppings are not—especially when they’re smeared all over a stranger's shoe. Do think of ways to repurpose flea market finds if you can’t use them as is. You might be able to turn an antique microscope into a table lamp or use an old door as a headboard.